Take care of the Earth, and take care of people, take care of space, and take care of time. Flores de Vida is a dream of communion of the human being with nature. It is a dream of coherence between our words and our deeds. Connect the inside and the outside. It’s a dream of reunion with ourselves, with others, with life. It’s a dream of sharing, listening and understanding. Birds bathe in the fountain, a lizard observes us, the Sun plays on the rocks, the wind sings in the trees. Dream of light, joy and simplicity. It’s a dream to build together. 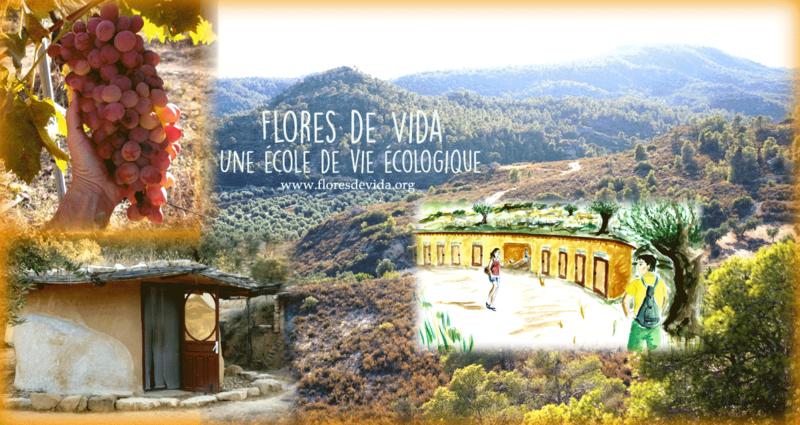 Flores de Vida is a place of experimentation, encounter and Exchange at the service of the Earth, and in the service of the human being. Il devient sportif : à côté du trampoline, nous avons installé un slackline. Et fait un cible de fléchettes. Relier Écologie, Santé et Bien-Etre … ça te parle?